The GEARYS Gift Registry offers the unmatched selection and uncompromising service you deserve. Our trained registry consultants understand the importance of selecting just the right items and will work with you one on one to create a registry that truly reflects your personal style. Our convenient Gift Letter Registry meets the needs of today’s busy lifestyle. We know you have many decisions to make when planning your big day so our Gift Registry is designed to allow you to hold off on making any final decisions about your gifts until the time is right. 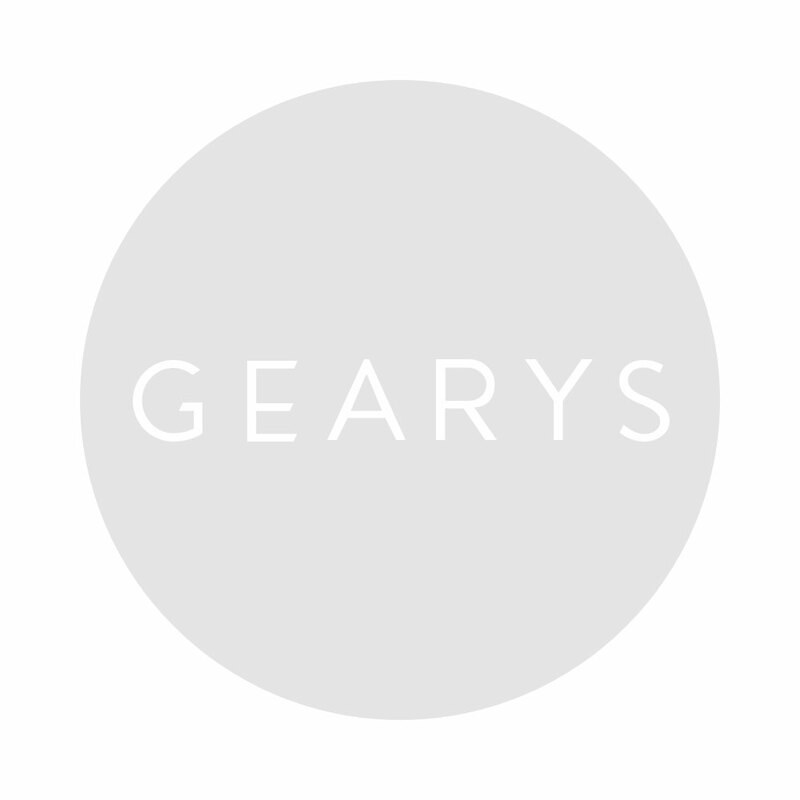 Instead of sending your gifts directly to your doorstep as they are purchased, we will send you a GEARYS Gift Letter Announcement via email each time a gift is purchased for you. We will even keep track of your Gift Letters and their value. Our goal is to exceed your expectations at every turn. As a Beverly Hills tradition since 1930 we are dedicated to building relationships that last a lifetime, and a registry with GEARYS is the perfect place to start. Ready to start creating your GEARYS Gift Registry? If you don’t send out my gifts to me how will I know when someone purchases a gift from our registry? Every time a gift is purchased for you we will send you an email with a link that will lead you to a virtual gift box that will let you enjoy the experience of unwrapping your gifts as they arrive. The email and link will describe the item or items that have been selected for you and will also include a personal message from the gift giver. Do I have to do anything when I receive a Gift Letter? What if I get a Gift Letter and decide I don’t want the item? Not a problem. If you don’t want an item we will simply leave its value in your Gift Registry Account and you can use the money for something else. When redeeming your registry the choice is always yours, and because you only receive Gift Letters you don’t have to hassle with bringing the gift back to return it. What if I lose a Gift Letter that is sent to me? While holding on to the Gift Letters you receive can make writing thank you notes easier, the Gift Letters themselves have no value. They merely serve as a way for us to let you know that a gift has been purchased for you. We maintain a list of all of your gifts along with their value as part of your registry so losing one is not a problem. What if a guest wants to bring a gift to a party? Can our guests purchase gifts from our registry on-line? Absolutely, your guests will be able to shop anytime day or night at www.GEARYS.com. All on line orders will be processed only as Gift Letters. Guests who would like to have a gift sent instead of a Gift Letter can place their order by phone or by coming in to our flagship store. We are available toll free at 1-800-793-66701-800-793-6670. When I am ready to redeem my registry will my gifts be waiting for me to pick up at the store? No. While some of your final selections may be in stock and ready for you to take home, in most cases we will need to order your selections and have them sent to you. Due to space limitations we cannot accommodate order pick-ups here in the store and must ask that you provide a shipping address. Will I be able to get a list of all the gifts that are purchased for me? Absolutely. Not only will we give you a list of all the gifts that are purchased for you, but we will also provide the names of the purchasers. In addition, we also offer you a detailed accounting of the value of all your gift letters so you can keep track of your registry balance. What do I do when I am ready to redeem my registry? When you are ready to decide on how to spend your Gift Registry Credit you can shop online and have your selections sent to your door, or simply call and set up a redemption appointment with your personal consultant and shop in person at our Flagship Beverly Drive store. We ask that you schedule your appointment at least 24 hours in advance to allow us time to review your registry. We also suggest you take an inventory of any physical gifts you may have received that will affect your redemption, such as place settings of your china or flatware. Finally decide where you would like to have your selections sent. What if the prices change before I redeem my Gift Letters? When you choose to redeem a Gift Letter for the exact item and quantity it references we will honor the price your guest paid for 1 year from the date of your wedding. However, should you choose to use the value of a Gift Letter to make a new selection, decide you want additional quantities of an item for which you received Gift Letters, or decide not redeem your Registry within 1 year from your event date all prices will be based on the current selling price of the item you select. What if I receive a Gift Letter for an item and the item is discontinued before I finalize my registry? GEARYS strives to ensure that every item for which you receive a Gift Letter will be available when you need it. However, the ultimate availability of items rests with the manufacturers. Should you receive a Gift Letter for an item that the manufacturer can no longer deliver, the value of the letter will be applied to the purchase of a suitable replacement. We regret that a cash refund of the value of the discontinued item is not available. Will I have to pay for shipping to have my gifts delivered to me when I finalize my registry? Yes, but don’t worry. A small shipping and handling fee is added to every Gift Letter purchase that is made for you and when it is time to redeem your registry you will already have the money you will need in your account to pay for shipping and handling. What if there is money left in my account after I redeem my gifts and finalize my registry? The value of all the Gift Letters you receive is deposited into your personal Gift Registry Account as store credit only, so any monies left over will remain as store credit on your account. The credit has no expiration date and can be used for anything in our stores. Unfortunately, GEARYS does not issue cash refunds under any circumstances.